Your computer is running Windows. Hope, only temporary. And you want to try Linux on that machine. Or you are already in Linux and want to give a go to another distribution. For some reason, CD/DVD drive is not available or not working. Do you have any chance to get what you want? Of course! Solution is very simple. Instead of running Linux from CD, you can create Live USB with iso image. This is one of the most popular methods of creation Live USB. This is free open source tool which supports Windows, Mac OS X and Linux (if you are already in Linux). UNetbootin allows you to either download iso image of distribution you want to try, or use previously downloaded image file. It supports many-many-many different distros. Even if distro is not listed in the drop-down menu, you can still give it a try and there are good chances to get what you want. I tried UNetbootin several times, and it is working perfectly in most cases. This is "young brother" of UNetbootin. It also supports a lot of different distributions. The difference, though, is that Universal USB Installer only runs in Windows. I tried it several times in my early days with Windows/Linux co-existence, and was rather satisfied with results. I dropped Universal USB Installer later, because Linux became my main Operating System. This is universal Linux command which allows you to directly copy image file to USB drive. Command dd is only available in Linux. There are analogues of it for Windows, but I'll talk later about this option. Command dd works for certain types of distributions, and might not work for others. Anyway, if you cannot achieve proper result with Unetbootin, dd should be your next step. Please note: command dd is very dangerous because it can easily destroy data on your computer if you mistype parameters. Use with double care. 4a. Mandriva, Fedora, openSuSE allow you to create Live USB with their images from Windows. I would advise you to visit official sites of distributions for more information about these programs. 4b. Ubuntu and openSuSE allow you to create Live USB from within the system. In case of Ubuntu, the tool also allows you to create Live USB with any Ubuntu-derived OS. Some distros (like SLAX) allow you to simply copy files from image or archive to USB and then make it bootable using short script - .bat for Windows or .sh for Linux. Of course, list above is not comprehensive. If you want to learn more, I would advise you to read Wikipedia. I only tried to gather together information about most used methods. I also promised you to tell about command dd for Windows. Yes, there is analogue in the Wikipedia list. I have never used it. Why? Because there are many more tools in Windows which worked perfectly for me, and then... there are Linux tools. Once you have at least one Linux system booted, you can easily create Live USBs from there, and command dd it most helpful there. So, why bother with Win-dd? Have you ever tried these or other methods to create Live USB? Did they work for you? Please share your experience in comments below. UPDATE: And yet another method! After dd failed, I found the Debian documentations recommend using "cat" to create a USB pen drive from their iso e.g. 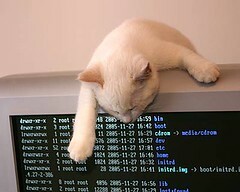 "cat Debian.iso > /dev/sdc"
I would also suggest Live Linux USB Creator. Great tool - very polished and easy to use. Very interesting feature of tool which works for different task. Would never guess! I tried it for my next guinea pig (name is not disclosed now), but it failed. Will try with something else later. Yes, MultiSystem is also famous. Though, I have never tried it yet. Thanks for this suggestion. It works only in Windows, but has some interesting features like bult-in virtualisation. I like this kind of posts, but unfortunately my PC (bios) does not support booting from USB drive! Then you have an old-fashioned option to use CD or DVD. It is old, but always works. dd if=(path to the iso on your computer) of=(whatever the usb is called on your computer). Of course, that does nothing about persistence. Whether you can or cannot create Live USB with dd depends on distro. Unfortunately, OpenSuSE does not work with dd http://linuxblog.darkduck.com/2011/03/4-disappointments-from-opensuse-114.html. Another tool (listed on the wikipedia page) is Win32 Disk Imager aka Win32 Image Writer) works with hybrid iso images (Ubuntu 12.04 for example). I am working on integrating hybrid iso creation on the fly, so that it will work with other distros/os's in the future. It is a Windows program, but in this day and age, having a Windows tool to create Linux boot drives is a good(tm) thing.